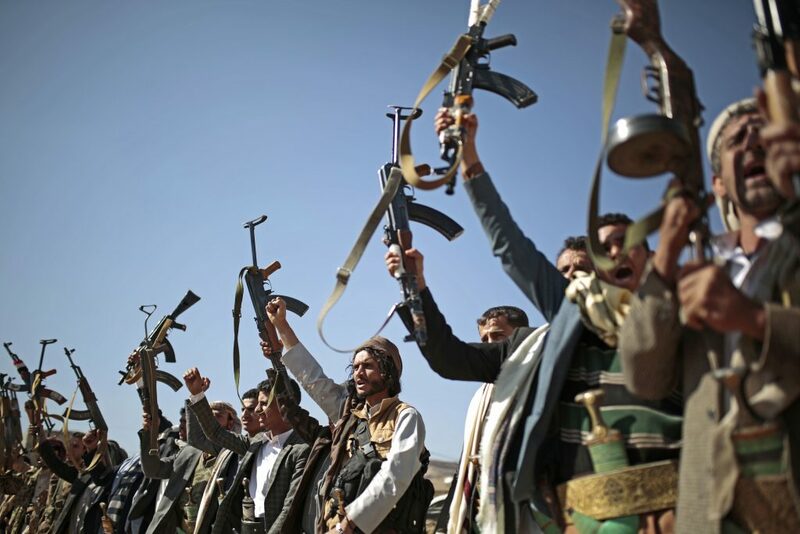 The House on Wednesday passed a resolution to end U.S. military support for the Saudi-led coalition operating in Yemen, a repudiation of President Trump’s continued cooperation with and defense of the kingdom and its crown prince, Mohammed bin Salman. (D-Calif.) had promised a vote on the measure when Democrats took over the House this year. The war-powers legislation now heads back to the Senate, where sponsors said they are “hopeful” that similar numbers of Republicans and Democrats will vote for it when it comes up in the next few weeks. But even if they manage to pass the resolution in that body, Trump is already threatening to veto the measure — and Congress does not have the votes to overcome it. The president’s advisers on Monday warned that the war powers resolution raised constitutional concerns and was “flawed” in its premise, as U.S. forces were not fighting on the ground in Yemen. Their statement also stressed that the United States had already curtailed the aerial refueling of Saudi planes, and that other forms of assistance the U.S. was providing, such as intelligence sharing and logistical support, wouldn’t fall under the auspices of the War Powers Resolution. The measure would also “harm bilateral relationships in the region,” the president’s advisers wrote. Its sponsors, however, rejected that notion. “This is exactly the type of hostilities that the framers of the War Powers Resolution contemplated,” Rep. Ro Khanna (D-Calif.) said in an interview. But before the resolution passed the House, lawmakers attached an amendment to it stating that the measure would not restrict the collection and sharing of intelligence as the president deems appropriate. Intelligence sharing is a major piece of U.S.-Saudi cooperation, particularly since the administration ended the practice of refueling planes last year. The House also voted to attach an amendment to the legislation condemning anti-Semitism, an apparent response to comments made earlier this week by Rep. Ilhan Omar (D-Minn.), for which she has apologized. Trump has nonetheless called on her to resign, prompting a retort from Omar that Trump had “trafficked in hate your whole life,” and charges from Democrats that Trump, who has refused to condemn white supremacists on multiple occasions, was being hypocritical. Republican opponents of the Yemen resolution also argued that by focusing solely on ending U.S. support for Saudi Arabia’s campaign, the resolution “sends a green light to the Houthis and their Iranian backers to press on,” as House Foreign Affairs Committee ranking member Mike McCaul (R-Texas) put it. Democrats objected to Republicans characterizing the resolution as soft on Iran, stressing that its chief motivation was to address the humanitarian crisis in Yemen caused by Saudi Arabia’s efforts to date to block aid from reaching those in need. But the killing of Saudi journalist Jamal Khashoggi prompted lawmakers to take a critical look at Saudi leaders, in particular Mohammed bin Salmon, whom many lawmakers have said is liable for the murder. Trump has to date defended the crown prince’s denials of involvement. Last week, he also missed two congressionally mandated deadlines to report to lawmakers on the status of the humanitarian crisis in Yemen, and announce sanctions against which officials he deemed to be responsible for Khashoggi’s death — or explain why he was declining to do so.